If you haven’t updated your website in a while, it’s not hard to understand why; website design and management can be confusing, exhausting, and frustrating if you don’t have the training or experience to know how to do it the right way. However, it’s crucial to make sure your site stays updated and recent; in a digital age, a large percentage of your potential customers likely use the internet as a means of staying informed about your products and services. 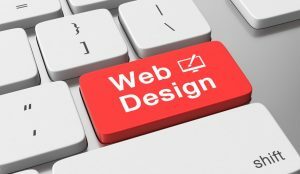 Here are a few signs that it’s time to for a website redesign to keep your site current and competitive. It’s been a few years since you’ve updated it: If you can’t actively remember the last time you updated your website, that probably means it’s time to take a look at it again. How often should you look into a website redesign? The answer will vary, but at a minimum, you should aim for a major update to your website’s layout every two years to keep it current. Your mobile site doesn’t work: If you’re noticing particularly slow speeds or odd layout glitches when you go to check your website on a smartphone, you’ll want to redesign your website ASAP. Mobile responsiveness is essential to keeping visitors on your site longer. Forty-eight percent of users say that if they arrive on a business site that isn’t working well on mobile, they take it as an indication of the business simply not caring. If links are broken: If you feature links to content on your website’s page, but those links are out of date or no longer work, you’ll want to redesign your site quickly. Broken links not only present visitors with a bad image of your company, they can also impact your rankings in search engine results. Need a website redesign to keep your company’s page updated? Contact MRN Web Designs today for more information on how you can update your website to draw in more visitors. MRN Web Designs can help you with all your internet marketing needs, from creating high quality content to pay-per-click advertising to web design and more.